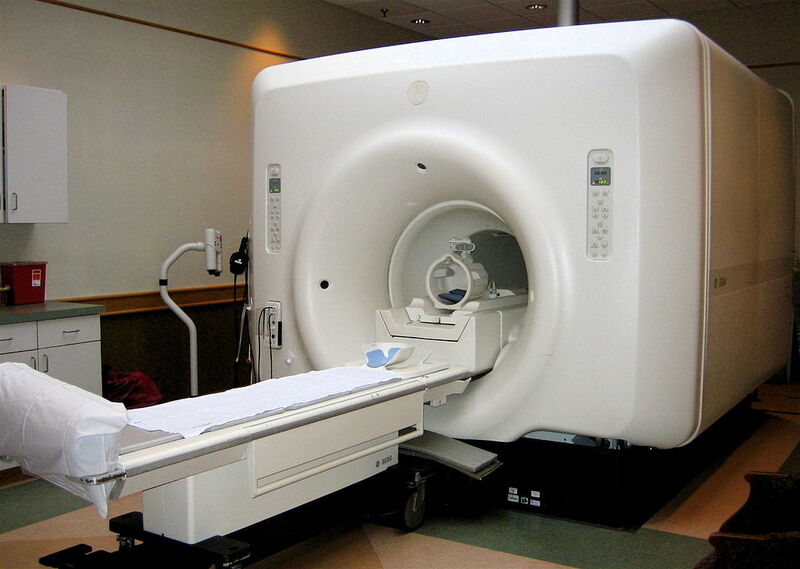 Magnetic resonance imaging. Photo by liz west from Boxborough, MA [CC BY 2.0 (https://creativecommons.org/licenses/by/2.0)], via Wikimedia Commons. The very lucrative Medical Industrial Complex (MIC) will fight long and hard against fixed, transparent prices for standard elective procedures. That is especially true in the highly priced, highly consolidated Milwaukee market. Why wouldn’t they? If I were running a hospital corporation or health insurer with revenues and profits foremost in mind, I would do what they are doing, fight fiercely for the status quo in health care pricing. If they can sell a joint replacement for an average of $50,000 via an incomprehensible bill, why would they match a bundled, fixed price of $26,000 in a single, unified bill? Yet, despite the resistance, to transparent pricing, it is only a matter of time until the MIC has to come clean with its charges for health care. A recent expose in the Wall Street Journal featured Gunderson Health in LaCrosse, which did an unthinkable. It did a cost accounting exercise on a knee replacement. It took 18 months, something a manufacturing company could have done in two weeks, but it revealed some striking numbers. The all-in costs for the new knee, with all overheads covered, came out to $7,800. If Gunderson can do it for that, so can any other competent provider system. Therein lies the crux of the health cost crisis in America. Plain and simple, the MIC charges way too much for everything it does. Note: this is not just an abstract numbers exercise. It is serious stuff that affects the prosperity of every household in the country. Note: The Milliman consulting firm now puts the price of care for a family of four in an employer plans at $28,166 per year. Kaiser Foundation puts the price of covering an employee in a family plan at $19,616 per year. The two numbers don’t jibe, but they are both scarily high. Clearly, this is an unsustainable economic model for the nation. Both political parties decry the burden, but have proved themselves mostly incapable of tackling the painful inflation in health costs. As politicians, they talk about coverage, limits on coverage and taxes for coverage. Costs are only partly addressed, such as the Trump Administration’s promotion of faster approval of generic drugs to bring down pharmacy costs. The debate in the recent election dealt primarily with coverage of pre-existing conditions. There is now consensus for inclusion in most health plans. Did you hear any politician deal with the underlying costs of that policy stance? Fortunately, big payers in the private sector are have had it with the current delivery model. Payers like GM and Walmart are going around the big health insurers directly to high value providers and cutting deals. Those deals often involve fixed prices for standard procedures. So significant are the savings from steerage that Walmart executives are making travel to value centers mandatory for joint and spine surgeries. One major learning from the program has been that half of spine surgeries done at the local level are not warranted. That squares with previous research on the proclivity of surgeons to cut as a first option. Warren Buffett and Jeff Bezos of Amazon are in the throes of doing similar direct contracting, including bundled pricing. Even an occasional political leader is stepping into the fray. North Carolina’s attorney general has just won a battle with the state’s biggest provider that enables employers to steer patients to the best-bundled deals. The Trump Administration could make that a national precedent. Be forewarned: MIC lobbyists will fight back, making the case that low-priced bundles are cheap medicine. They are 180 degrees wrong. The providers with the best quality are often the shops with the lowest prices. There is an inverse correlation between price and quality. Bone shops like the Orthopedic Hospital of Wisconsin Glendale have their acts together on quality, service and pride – known to consumers as “value.” As with manufacturing worldwide, they use lean methods to drive out waste, overheads and defects (like infections). It’s a virtuous circle. Lower costs allow lower prices at a good profit. Lower prices, good quality, and high-touch services lead to more surgery volume. Higher volumes allow value centers to spread their overheads over more procedures and thereby drive prices down even further. Further, the more procedures and surgery center does, the better they get at it. The best value centers have very low infection rates and readmissions. So confident are they in their positive outcomes that they warranty their surgeries. “Re-dos” are on them, just as they are in most of the business world. One startup in Milwaukee now offers 2000 bundles in value centers across the country. That’s the future of health care pricing. MRI scans cost $600 vs. $2600 in the general non-market for scans. My company and our co-workers will save around $100,000 this year on scans alone. Think about this dimension of the medical complex: many of the big hospital corporations are tax-exempt, non-profit entities. One would think they see virtue in making health care more affordable for American households. Lower costs and prices should be in their mission statements. Value centers do 1 more thing not mentioned in this op-ed; they promote preventative measures. For instance, requiring patients needing spine surgery to quit smoking (not without help of course) before surgery is scheduled. The reason: because patients who don’t smoke have significantly better outcomes and are less likely to require additional surgeries. As healthcare providers shift their focus from disease management to preserving health, costs go down.